Can a filesystem be viewed as a block device itself (for example, when programming to use a file system)? 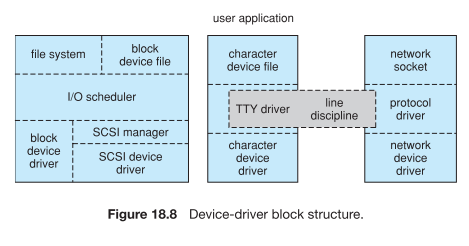 It seems that in Understanding the Linux Kernel, the IO operations on regular files and on block device files are largely implemented similarly to each other above device drivers, compared to IO operations on character device files. I seem to remember there are filesystems not built upon physical devices, such as /proc. But I am not thinking about them, or just think of them as being built upon RAM, which is a block device, isn't it? File systems in general are built on block devices, unless they are used as an interface to the kernel or access files across the network or are implemented in user space. If you want to store files on a hard disk or ssd, accessing it as a block device is the easiest way. There exist file systems like SquashFS that don't align data on block boundaries, but they still use the underlying buffer cache that works on block devices. Some Unix systems present character devices to access the disk without using the buffer cache, on Linux open with the O_DIRECT flag is used for this. You can use a file as a block device, see losetup. A file system is not a block device. "an interface to the kernel": This is mainly /proc, /sysbut also a bunch of cgroup file systems, usually mounted under /sys/fs/cgroup, and some more. "implemented in user space": "FUSE" means "Filesystem in Userspace". From the kernel's point of view, this is backed by a userspace program. This program may in turn use a block device (fuseblk), NTFS is implemented with fuseblk. It may also use the network or anything else to present a file system. Not the answer you're looking for? Browse other questions tagged filesystems devices block-device character-device or ask your own question. why is it necessary to differentiate between character and block devices? Are there implications between block/character device and random/sequential access?